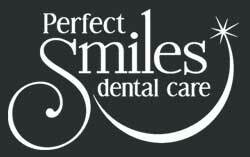 Perfect Smiles Dental Care accepts most major dental insurance plans. Let us do the research for you – we’ll let you know if we take your insurance, and what is covered. If you work at Sprint, Cerner, Hallmark, or H&R Block, it’s likely we take you plan. Be sure to bring your Dental Insurance ID card, or plan number with you when you come to the office on your first visit. If you’re already an existing patient of ours and have changed jobs or dental insurance plans, please bring your updated information with you when you come into the office for your next visit. Keeping records up to date – both on your end and ours – ensures that we both have accurate information. Having current information also helps to make your appointment take less time. We will make every effort to verify your coverage prior to your appointment. However, because insurance companies change coverage, sometimes throughout the year, it’s not possible to guarantee coverage – ultimately, only your insurance provider can do that. You may need to pay a co-pay, or if your treatment fees exceed what is covered, that may be an out of pocket expense. If you have any questions about costs or payments, please be sure to take advantage of our knowledgeable staff who will gladly work with you to determine your coverage. At this time, Dr. Bridenstine accepts Aetna, Assurant, Cigna, Coventry, Delta Dental, Guardian and Met Life. Dr. Boldry accepts Aetna, Assurant, Coventry and Delta Dental.